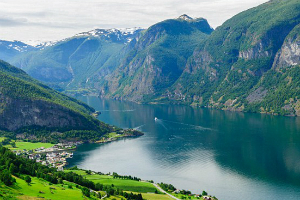 Embark on a magnificent Scandinavia tour. The remarkable cities of Stockholm, Oslo, Bergen and Copenhagen will come alive with history, Viking legends, Hans Christian Anderson and the Little Mermaid. Add the unbelievable natural beauty of the Scandinavian countries and you'll have the holiday of a lifetime. This escorted tour includes Round trip air, deluxe motorcoach travel, luggage handling, 9 nights accommodations, 8 Breakfasts and 4 Dinners.